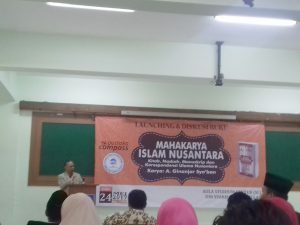 Madya Meeting Hall,Â UIN NEWS Online â€“Â Faculty Of Ushuluddin Sutudent Association (Dema FU) held a book review by A Ginanjar Sya’ban titled Mahakarya Islam Nusantara Kitab, Manuscript, Manuscript, and the correspondence of Ulama Nusantara in Madya Hall, Wednesday (5/24/2017). The book review event featured Rector of UIN Jakarta Prof Dr Dede Rosyada as the keynote speaker and author of A Ginanjar Sha’ban. 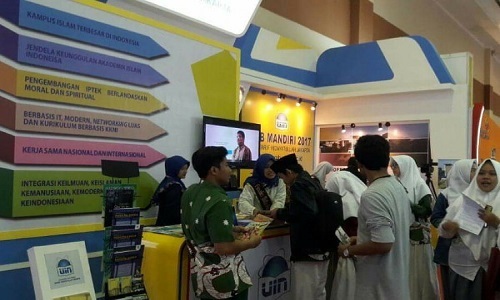 While the speaker is Prof. Dr. Masri Mansoer (Dean of FU) and two lecturers of UIN Surabaya Akmal Firdaus MA and L Mahrus. The Rector disclosed that the book written by A Ginanjar Sha’ban is a reflection of one of the most authoritative and authentic local sources in giving various historical information about the Islamic scientific treasures of the archipelago. “The manuscript is one of the nation’s cultural heritages among various other artifacts,” he said. 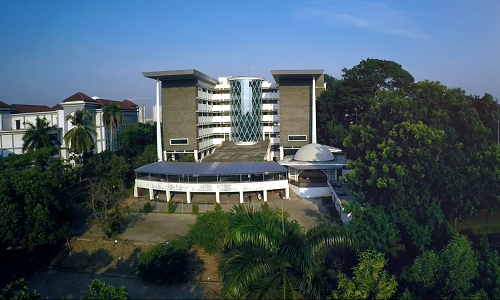 Ginanjar said, the emergence of the great traditions of the Nusantara cannot be separated from the role of Islamic intellectuals who writes great works, then adapted and spread in the archipelago. In the book, he argues, explaining the tradition of writing documents and information in the form of manuscripts seems to have occurred massively in Indonesia in the past, especially when viewed from the abundance of the number of manuscripts found to date, whether written in foreign languages such as Arabic and Dutch as well as regional languages such as Malay, Javanese, Sundanese, Aceh, Bali, Madura, and Batak.